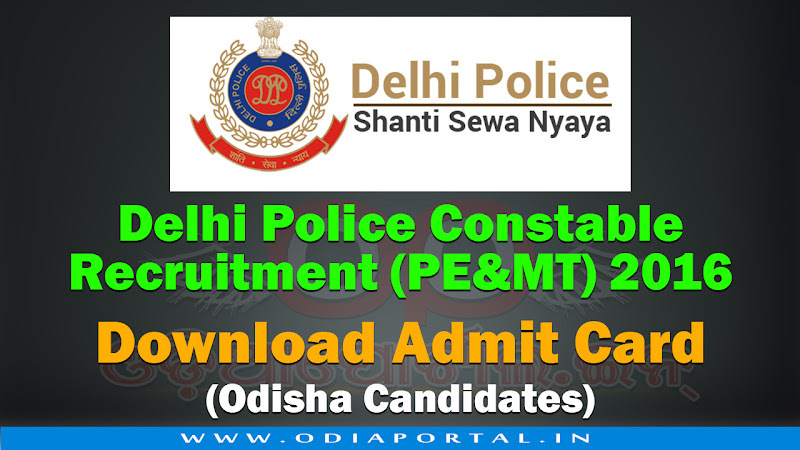 Delhi Police has uploaded online Admit Cards for "Delhi Police Constable Recruitment 2016" for PEMT (Physical Endurance & Measurement Test). for Odisha Candidates. 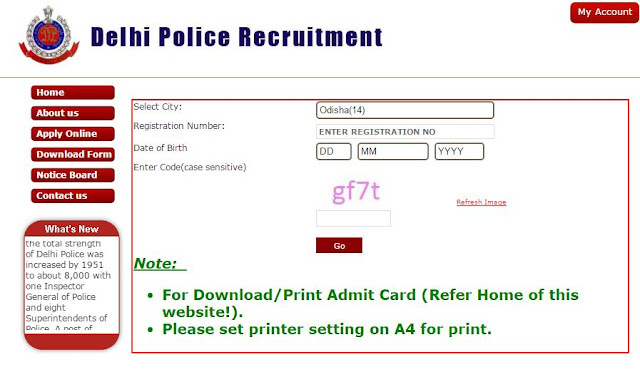 If you applied for Delhi Police Recruitment in 2016, you can now download admit card for Physical Test. Click on following button to download admit card. 1. Click on Below link to enter in Official Delhi Police Website. 2. Click "Odisha (14)" from the drop down menu. 3. Then enter your registration number. 4. Put your date of birth in the 3rd blank box(es). 5. Enter security captcha code and click on "GO". 6. Now download your Admit Card in an A4 paper only.